Happy (not so Curious) Birthday! Two years ago today my world changed forever. I’m not going to get all sappy over here, but I’m so blessed! I love my son so much, and I’m so happy to have him in my life. 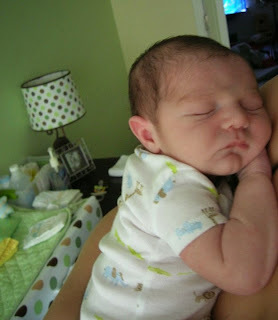 He is my baby boy, he is the light of my life and being his mother is the greatest gift I could have ever received. So remember when I told you all about our Curious George party? I bet you’re wondering how awesome it was. Well, sadly, it wasn’t. The party was great, the theme on the other hand was a disaster! I’m telling you in all seriousness that George just wasn’t in the cards. This is what I get for waiting until the last minute. The fist thing that went downhill was the cake. After a few phone calls to the local bakery we were assured that we could bring in any picture (character or whatever) we wanted to print on the cake. They told us we could wait until the day before to bring it, so we did. Guess what? Whoever I talked to had mistakenly said any character image was fair game, so George was out. I didn’t have time to find another bakery so I just picked an Elmo cake because the colors were the same as our decorations. Next I went to Party City and they were out of the tablecloth I picked out. At this point I was starting to stress out that my son’s perfect party was falling apart, but I could deal. Until 9pm last night. That’s when it all came crashing down. I had a huge Curious George mylar balloon that I ordered from Amazon. It was awesome, Judah was crazy about it. He was literally squealing when I showed him the picture. My husband went to get it filled at Publix last night, and apparently the guy who tied the string was a total bonehead. As soon as he walked out of the store the balloon slipped out of the knot and disappeared into the sky! That was it. I called customer service in tears, crying about how my son’s birthday party was ruined and that balloon was the last shred of our perfect celebration that hadn’t gone wrong. I was seriously distraught. Of course they couldn’t replace it overnight, but they offered us a free balloon of our choice for the trouble. 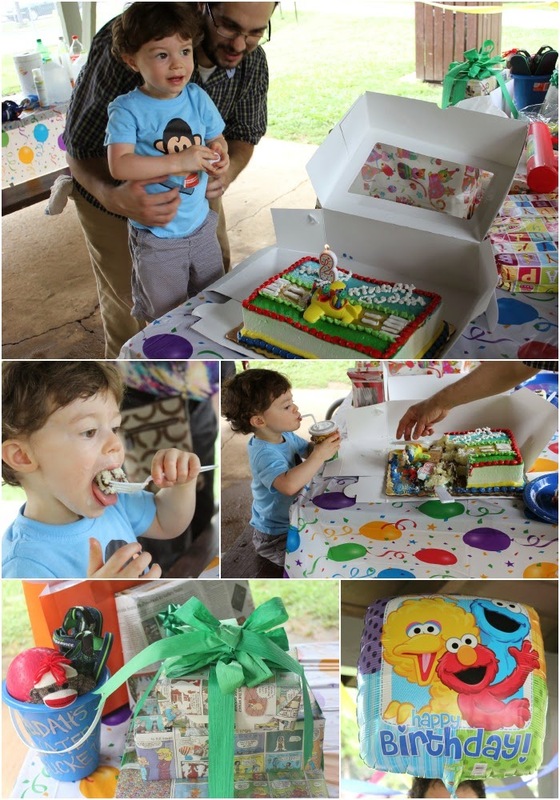 And that’s how our Curious George party turned into a Sesame Street party overnight. I was a little disappointed but it still turned out great. Judah didn’t care anyway, he was too into the cake. At least he got to wear his monkey shirt. « Win some fluff from The Eli Monster!